Forex Risk Management and trading psychology are tightly connected. Like we previously said in part 1, never risk more than 2% of your account. This amount can go up to 5%, depending on your appetite for risk, but at least in the beginning of your trading, try to keep it at 1%. Then, as you progress and become a better trader, you can increase the traded amount (but we recommend keeping it lower than 5%). You are probably thinking that by using 2% of your account, you will never make enough money to make a living from Forex trading. That’s not true and I am going to show how you can make money by using just 2% of your account and compounding your winnings. Let’s say you have a 1000 USD account; 2% of that would be 20$ so you can enter a trade with a 20$ risk (remember to calculate position size accordingly). 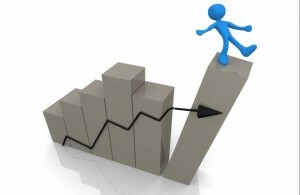 After winning some trades, your equity will be higher and consequently, the 2% will be more than 20$. That will allow you to trade using a bigger position size and of course, your winnings will be bigger. So you still trade and risk 2% of your account but 2% is more now than when you had 1000$ in your account. The downside to this is that if you lose a lot, then your 2% will be significantly less than when you started and recovering will be harder because you will need more winners than you had losers to get your account to 1000$. 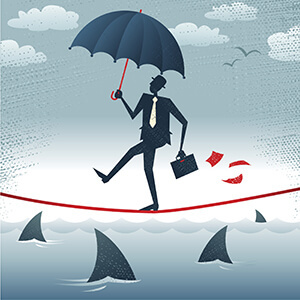 Forex risk management is not without flaws, like everything else. Risk and Reward. Imagine you risk 20$ and you aim for 20$. That means you have a stop loss of 20$ and take profit of 20$. You could lose 20$ or win 20$. This way, if you win 50% of your trades and lose 50% of them, you will break even. This is a Risk-Reward (R:R) of 1:1. To make money using a R:R of 1:1, obviously you have to win more trades than you lose. If you were to increase the risk-reward ratio, that would allow you to make money even if the number of your losing trades exceeds the number of your winning trades. In order to do that, you have to increase the amount of pips you are aiming for, but use the same stop loss: stop loss is 20 pips and take profit is 40 pips. This way, you get a R:R of 1:2. You risk 20 pips and get 40. Now, if you were to lose two trades in a row and win the next one, you would be at break even. You have 2 losers and just 1 win and still, you haven’t lost any money. So you need to win just 33.3% of your total trades to break even. Everything above that percentage is profit and be sure to get comfortable with Forex Risk Management mindset. You might think – “Why not use a 1:10 Risk Reward ratio? This way I only have to win one trade out of ten and still make money.” Well, it’s not that simple. Let’s say we use a 30 pip stop loss. To achieve a 1:10 R:R ratio, the take profit level must be 300 pips away. The chances of gaining 300 pips using a 30 pip stop loss are very thin to say the least. So when deciding the risk-reward ratio, you must always think about the probability of success of that trade. Look at the charts, the trading environment and decide based on technical and fundamental analysis. If you enter the trade exactly at the beginning of a strong trend, your chances of making 300 pips increase, but I wouldn’t recommend using such a high R:R on a normal basis. Make sure you read part 3 of the article, as well as going back to part 1 if needed. 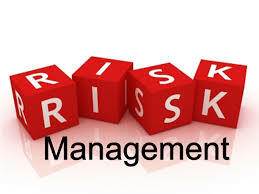 To understand the basics of risk management, visit the following guide.